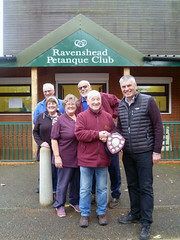 Following on from their success at the Nottingham Open Doubles Tournament in early July, Carla & Tim Jervis joined forces with their Chesterfield PC teammates, Carole Sheppard and Ian Kingman to win today’s Mercia T riples Championship. 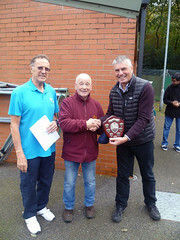 In an exciting final match played against Mokhtar Benarab, Abdel Fekir, Peter Newton and Brian Forbes from Nottingham City PC, Tim’s team put on a display of great shooting and pointing to lift the title. 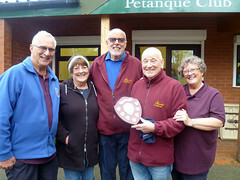 Congratulations to Chesterfield Petanque Club and to Carla, Tim, Carole & Ian. 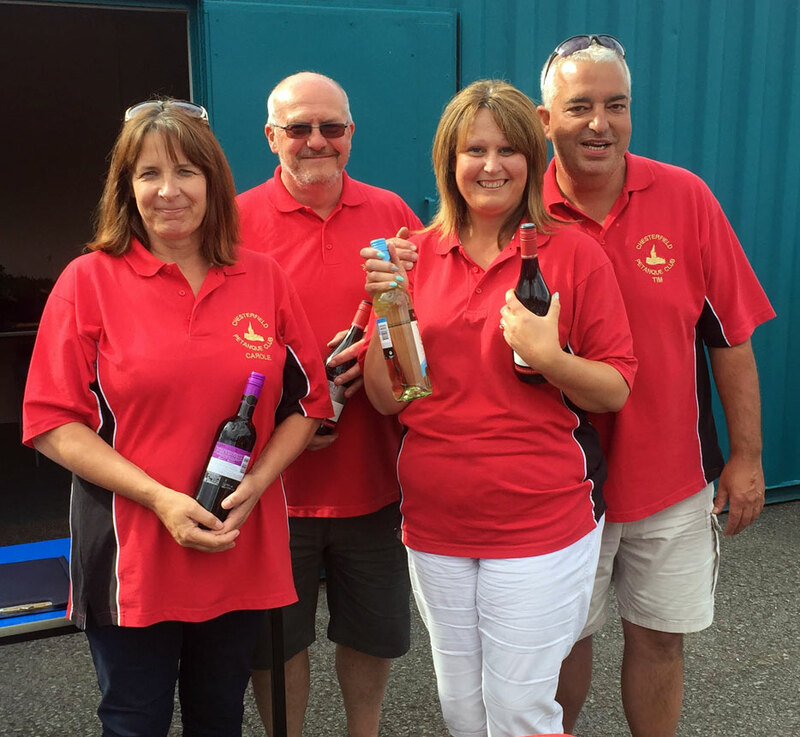 A special thank you must go to Morris Goodman for being umpire for the day, and to Rainworth Petanque Club and all their helpers for hosting this event and keeping the players supplied with food and refreshments all day. Another great day of competition, thank you to all who took part.